This is the first of a multi-part series on my journey from my peak weight of 350+ lbs to the present time. Q: How much does this surgery cost? A: My fee is $25,000, and I do not accept insurance. Q: What sort of changes in diet are required after you get this operation? A: I put all of my patients on a low-carb diet. Q: So the diet fads have gone full circle TWICE in the last 30 years? After that, my wife and I decided to skip the gut-mutilation, and go directly to the low-carb part. It was actually mostly her idea. She had heard about Atkins being effective for diabetics, and she was having real problems with her blood sugar — two oral meds, and still so poorly controlled that her doctor told her she would soon be needing insulin. I was initially convinced that it would be just like any of the other diets we tried, and we would end up even worse off in 6 months, but I wanted to be the truly supportive husband, so I went along with it. Next: Part II, Low-Carb was really different! Some of the surprises we encountered (not all good). 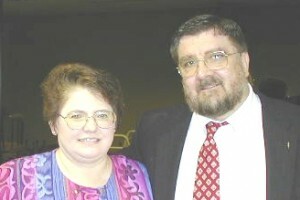 I am co-owner of NEquals1Health.com, along with my wife, Georgene (Mrs N=1). Read more about me on Howard's about page. This entry was posted in Diet, Health. Bookmark the permalink.